Washington D.C. [USA], Oct 22 (ANI): According to a new study eating vegetable nitrates, found mainly in green leafy vegetables and beetroot, could help reduce your risk of developing early-stage age-related macular degeneration (AMD), an eye disease that causes vision loss. The study was published in the Journal of the Academy of Nutrition and Dietetics. Researchers at the Westmead Institute for Medical Research interviewed more than 2,000 Australian adults aged over 49 and followed them over a 15-year period. Lead Researcher Bamini Gopinath stated that the link between vegetable nitrates and macular degeneration could have important implications. "This is the first time the effects of dietary nitrates on macular degeneration risk have been measured. Essentially we found that people who ate 100 to 142 mgs of vegetable nitrates every day had a reduced risk of developing early signs of macular degeneration compared with people who ate fewer nitrates," said Gopinath. 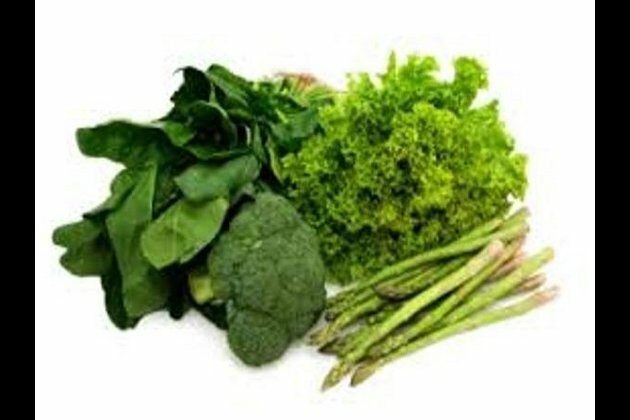 "If our findings are confirmed, incorporating a range of foods rich in dietary nitrates - like green leafy vegetables and beetroot - could be a simple strategy to reduce the risk of early macular degeneration," added Gopinath. The research did not show any additional benefits for people who exceeded 142mgs of dietary nitrate each day. It also did not show any significant connections between vegetable nitrates and late-stage AMD, or between non-vegetable nitrates and AMD risk. One in seven Australians over 50 have some signs of macular degeneration. Age is the strongest known risk factor and the disease is more likely to occur after the age of 50. There is currently no cure for the disease.